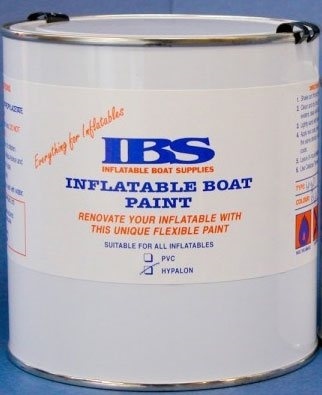 Use this Hypalon Flexipaint to renovate your inflatable or Rib. Its single part, flexible, and offers excellent adhesion and flexibility to all Hypalon Inflatables. It provides a smooth matt finish and is resistant to seawater and sunlight. -Coverage 6 sq/m Litre -size: 1 Litre tin Available in a range of colours.